KOLKATA, India – “When I first visited the slums…The community became my canvas and the children became my paint brushes and colours,” said Amlan Ganguly, founder of Prayasam (Endeavours) to me during an interview on the balcony of his home and office. 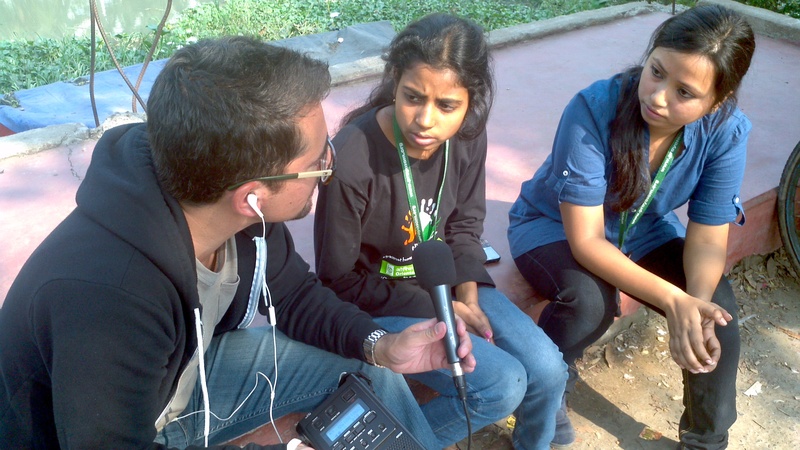 Prayasam is a community-based organization working with youth from six of the 65 slums in Calcutta, where groups of children and young adults advocate for change. The 2013 documentary film, The Revolutionary Optimists, shares the story of a group of Indian youth in the city’s Rishi Aurobindo squatters’ colony and brick kilns, where child labour looks like modern day child slavery. Known affectionately as The Daredevils, these audacious Prayasam members in Rishi Aurobindo have mapped their entire community and now work to educate others about vaccination campaigns and access to clean drinking water. “Prayasam is part of a tradition that supports children’s rights and teaches them to make their voices heard in order to advocate for changes that will improve their communities,” states the Child Rights International Network. Two of Prayasam’s most outspoken are the two main characters in the documentary film; Sikha and Salim. Both are now 17. These two young adults are leading youth to be the change we all want to see in this world, to paraphrase Mahatma Gandhi. Prayasam has a highly mobilized group of youngsters who don’t sit back and wait for their elders to clean up their community, city, and country. They take action. I took some time while at Prayasam to help Sikha and Salim write up the English translations to their biographical short films, as well as suggesting some needed audio transitions which they added willingly. Both films were screened in Cape Town, South Africa at an international slum dwellers conference. Watching Sikha and Salim’s stories told through film, I was blown away at how these two were able to direct a film, by using friends and family members to reenact the roles they played in educating marginalized members of their community on important health and education-related issues. 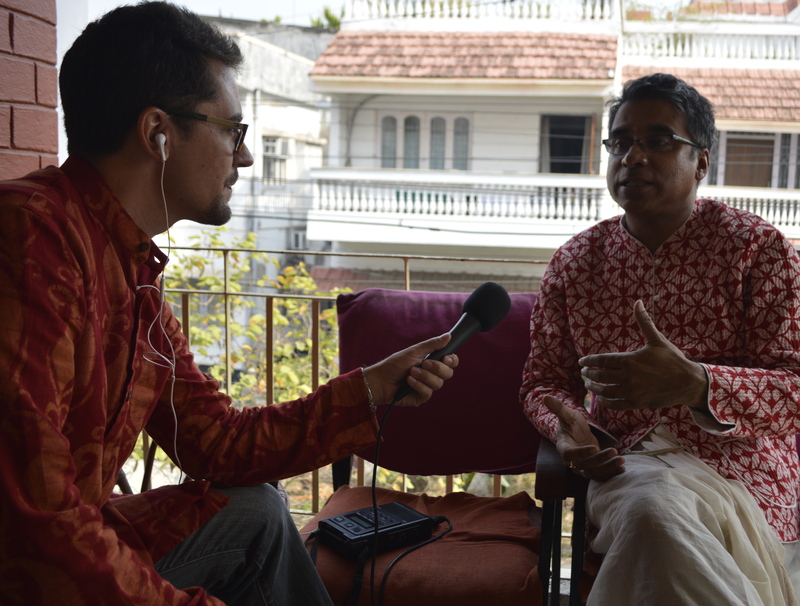 What amazed me most is how these two agents of change are completely bypassing the traditional news media in Calcutta, and India, by taking their stories to a wider, international, audience online. Sikha even told me personally that it’s her dream to be a filmmaker, and is fascinated by cinematography, which she learnt a bit about during the filming of The Revolutionary Optimists. The making of this documentary film empowered her, and others, to begin producing their own videos. On my visit to one of Prayasam’s youth groups, not Rishi Aurobindo but Nazrulpully, I met another group of boys and girls producing media for the world beyond their borders. Nazrulpully is a slum located under and alongside New Town bridge in Calcutta’s burgeoning information technology (IT) sector. This area of the city is known as Sector 5, and yet most people I spoke to in the city don’t even know Nazrulpully exists. I walked along a river bank, watching residents of the slum bathe and clean clothes, until I reached a small structure; the office of Prayasam’s youth group in Nazrulpully. Monish and Priya introduced themselves to me. They proudly displayed the numerous awards the group has won. Okay they didn’t say this, but my Hindi language skills are non-existent so I just stood there watching. Again, I was excited to see how passionate they were in producing media (I’m sort of a radio and documentary film nerd, if I say so myself). Monish and Priya took time to sit down and talk to me about the work they do here, in Nazrulpully. This award-winning Praysam group has collected books and opened a community library. The group’s next goal is to push policymakers for a new primary school, which would be the community’s first. Calcutta stole my heart during my travels throughout India, and the reason for this was due to my visit to Praysam. Meeting the youth and seeing the work they do in their own communities was inspiring. It’s hard not to be inspired when you speak to Amlan Ganguly, a man who’s spent so much time empowering youth to be the change they want to see in the world, to paraphrase Gandhi once again. I was even fortunate enough to take part in a puja, or ceremony, for the Hindu goddess of knowledge and learning, Saraswati, at Prayasam’s office in Calcutta. It was fitting that I participate in a ceremony dedicated to the idol in the Hindu pantheon I admire most; a woman advocating for education. For me, it was a real educational experience to meet everyone at Praysam, and I look forward to returning to Calcutta to help conduct media training. Once its new Adobe Foundation grassroots film studio, as Ganguly refers to it, is up-and-running. I couldn’t agree more with Tully, a fellow radio journalist. I can’t wait to be a part of the next endeavour at Prayasam. Let it be a journalistic one, something I’m much more familiar with so I can help them share their stories with the world. “Each one, teach one,” as Ganguly would say.